Search Engine Optimization or Positioning is by far the best, smartest and most affordable investment you can make for your online business. Search engine optimization, also known as search engine placement and search engine positioning, is the process of improving or redesigning a website for higher search engine rankings. 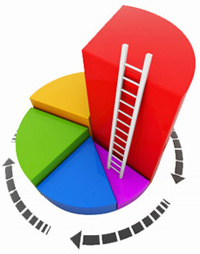 It's the first step in achieving higher search engine rankings. We have helped companies with a wide range of Internet marketing needs, from basic search engine submissions to large scale search engine optimization and internet marketing campaigns. You may have the best website design on the Internet, but it's only useful to your company if people can find it. SEO combines technical know-how with marketing knowledge, and a sound understanding of how web surfers interact with the Internet. Intiger has put considerable effort into developing a successful optimization strategy. If you'd like to see your site's search engine position improved, let us work our magic to boost your ranking. We get your website in the right category, with the keywords most likely to be used by individuals searching for your company. We're also happy to recommend which paid listing directories offer the best return on investment, or developing the right keywords for your website. If you'd to get your company's website in the top search engines, or would like a quote for search engine optimization (SEO), email or give us a call today.